Tuesday's 5-4 come from behind victory against the Rangers was a thrill ride of emotion. With stars stepping up big and toppling a division rival in impressive fashion, the Penguins are proving to be a high octane, fun team. And eventually that will be a problem. Say what you will about advanced stats or deep dives into pools of data but the fact remains that outshooting your opponent is your best chance at winning. While the Penguins have pumped 106 shots on net over the past three games (good for 35 shots per game) they're not doing so hot when it comes to shot suppression. While the numbers aren't overwhelming in the favor of the away team, 112 shots on net against Matt Murray and Antti Niemi (good for 37 per game) isn't what you want to see as a coach or player on the stat sheet. The 2015-16 Cup was won by overwhelming the opposition and shot suppression. It's what made the end result so unsurprising. The inverse was true for the 2016-17 Cup team. They lived on the edge needing timely goals, clutch goaltending and some luck from a flailing Pekka Rinne to lift Lord Stanley. It worked once, the odds of it working again are slim. The regular season is a time to iron out wrinkles, that's a given. And the Penguins had turn over like that of a typical team, not one that was perfectly placed to win back-to-back Cups with few new additions and fewer subtractions. It's all the reason why there's little need for concern. 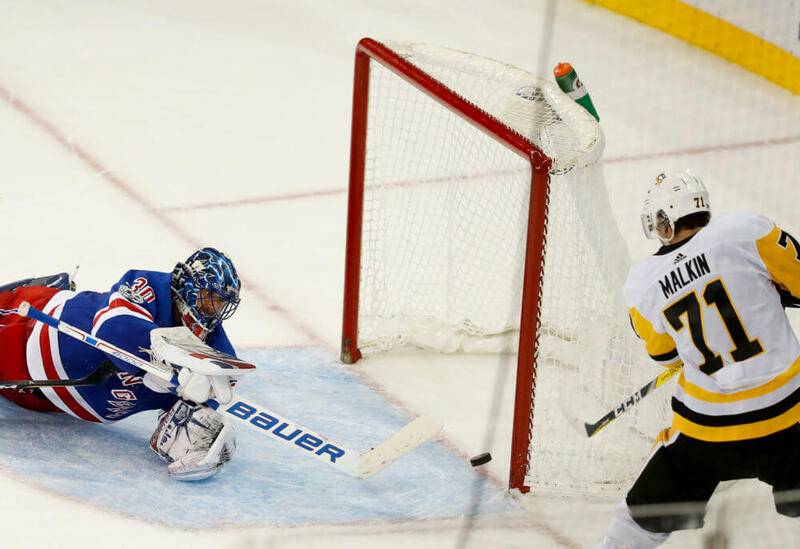 However the nail biting 5-4 finals, which the Penguins have seen three times this year, as well as the odd 4-3 tally (seen once) will need to be fewer than regular in order for the Penguins to see the same success they saw in the past two years as they look for a three-peat. It's far too soon to worry or gnash your teeth in concern. For now it's fun and fine to sit back, relax (lol jk how's your heart? ), and enjoy some 1980s era fire wagon hockey. If this continues into the new year, and past time any additions are made to shore up and third line and defense missing pieces, then we should worry. For now let's put a three-peat on hold. Let's put entertainment first. We have Sid, Geno, Phil, and Tanger for a reason. Let them shine and enjoy the ride.